Get Fall Ready! The weather may still be bright, sunny and warm, but fall days are coming! This means it's time to take care of your sun damaged skin and hair and change up your wardrobe. Foundation I usually keep makeup really light in summer, using my Olay CC cream or Garnier BB cream with some Bareminerals pressed powder. For fall, I will switch to a little more coverage now that I know it won't be melting off my face. A great way to transition is to go to your department store or Sephora and get matched for a new foundation and take a free sample with you to test it out. I love Tarte's full coverage formula as well as Smashbox's CC cream for fall. Change your colors It's time to shift around some of the colors in your closet. 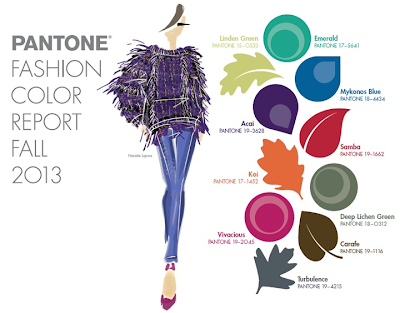 If you're not sure what is going to be trending for fall, Pantone is a great source of information in their color reports. I usually go with darker richer colors in my hair for fall. I have medium brunette hair so I like to switch from lighter highlights and blondes to deeper caramels, reds and chocolates. One product I've been loving to add some much needed moisture and smoothness to my dried out summer locks is Organix renewing Moroccan argan oil which is a weightless healing dry oil. Best yet this retails around $6 and can be found at Walgreens. Start putting away your tank tops and barely there shorts and start pulling out your long sleeves, denims and scarves. I actually love this time of year when you can add some more clothing but there is a gentle cool breeze in the air. There's something so comforting about it. Hopefully you wore SPF religiously this summer. Even if you did, your skin may still need some tlc. I focus on products that are extra hydrating and lightweight with the ability to counteract some potential damage done. 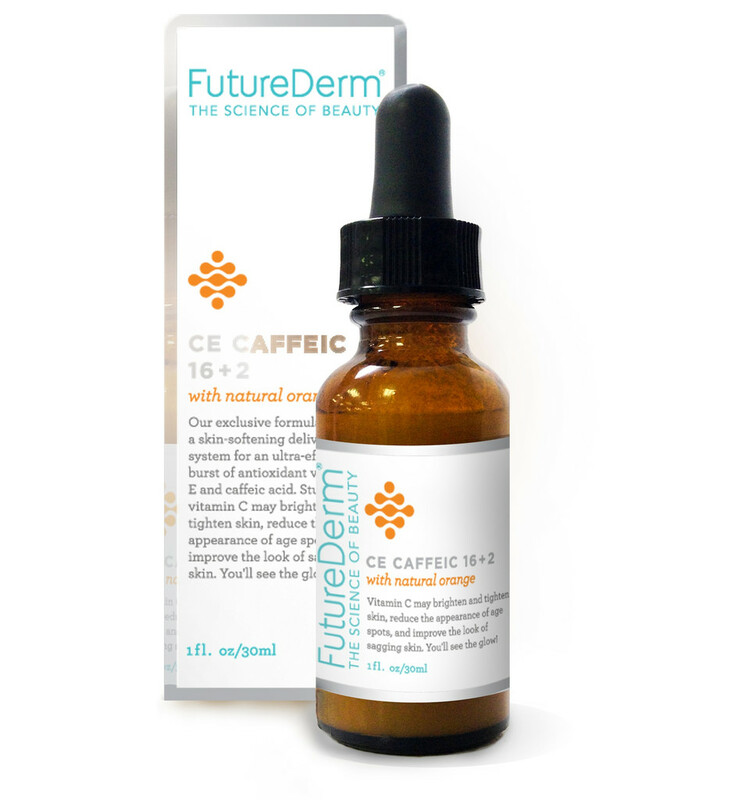 A product I recommend is FutureDerm's CE Caffeic 16 +2. About: exclusive brightening, tightening serum contains an unprecedented 16% vitamin C, 2% vitamin E, and caffeic acid, all suspended in a state-of-the-art silicone base. Sustained release of vitamin C for hours at a time. Leaves the skin smooth, with an exclusive molecular lattice network through which the beneficial ingredients can reach the skin. 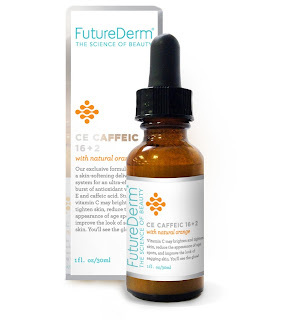 Benefits of FutureDerm Vitamin CE Caffeic Serum can be experienced in as little as 8 days. I use Mama Mio products to keep my legs and skin looking great. It may have gotten a little neglected and beat up this summer, so now is the perfect time for some TLC. I highly recommend Mamo Mio's Omega Body Oil as well as liquid Vitamin E which you can find at a drugstore. About: Age-defying body oil is your superhero to keep skin soft, firm - FIT. Surprisingly un-greasy, your skin drinks up this argan-rich oil in an instant for luminous, healthy skin. Restores elasticity and firmness. Brilliant for scaly legs and thirsty skin. Beautiful natural fragrance with our essential oil blend. How will you be transitioning your hair, body and wardrobe to fall? Comment and let me know!